Donald Trump, it was said, used a word, “invasion,” to describe the 76,000 migrants caught illegally crossing the U.S. border in February. At the same time, the killer used that word to describe the Muslim migration into the West. 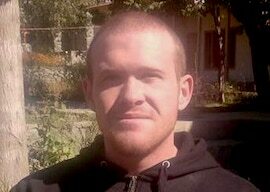 Trump also failed to express America’s revulsion and his country’s condolences to Muslims everywhere, and failed to denounce the “white nationalist” ideology that motivated the killer. America’s elites are familiar with the Acela Express, the train that runs from D.C.’s Union Station to Penn Station in New York. As for the mass murders of our new century, the racist right has perpetrated its share. Dylann Roof’s killing of the black women and men at the Charleston church qualifies, as does the massacre of Jews at the Tree of Life synagogue in Pittsburgh. Undeniably, atrocities that exceed in blood shed the St. Valentine’s Day Massacre by Al Capone’s gang, where seven men were stood against a wall in a Chicago garage and executed, have become all too common. America’s doors were thrown open to peoples of every religion, race, culture and creed, to create a different nation that mirrored all mankind in its diversity, in Ben Wattenberg’s phrase, a universal nation.